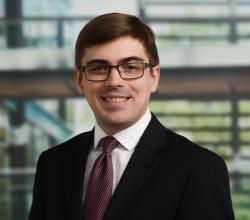 Justin Bunch is a Master of Finance, Risk Management concentration, Class of 2017 alumni. My main concern as I was finishing my undergraduate degree in the US was finding a job in my desired field. As with anywhere, jobs on the quantitative side of finance are insanely competitive. Despite my Bachelor’s degree in economics and background in mathematics from a top public university, I needed to specialize in a related and interesting field. Quantitative risk management is a field that poses the same quantitative questions found on the investment side of finance. However, it has the advantage that for most companies, the risk management department monitors risk across many different contexts and thus allows for a more dynamic work environment. The same department may monitor model risk and portfolio exposures simultaneously. Hence, when looking at my background and interests, I decided that risk management would be the optimal field to specialize in. The Risk Management concentration at Frankfurt School is an excellent introduction to the necessary skills and thematic focuses found in the industry. 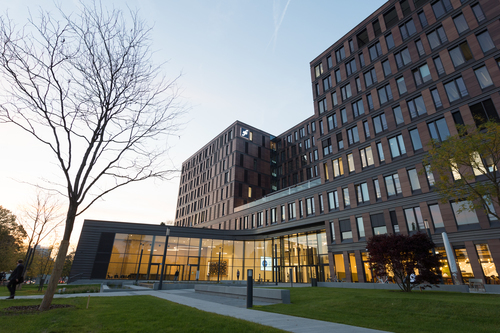 In contrast to a more compliance driven risk management, Frankfurt School focuses on the quantitative methods in asset management and valuation. These are just as critical as understanding the regulatory framework in which they operate. I really appreciated this quantitative focus, as it enables a more sensible understanding of how regulations are created and applied. In any case, it is much more difficult to master the quantitative background outside of the classroom setting. The Risk Management concentration opened many doors into the broader financial industry, and is not just limited to risk management. In particular, asset management and analyst roles often require the same skillsets, whereas a more narrow focus in asset management does not provide the same background in regulation that employers in risk management look for. In my case, I continued on to a big-four consultancy working in a specific risk advisory role. Here we look at all aspects of risk in finance industry, from validating or developing complex derivative pricing models to quantifying the risk that the models themselves generate. Despite the high demand and flexibility in the risk management industry, the field is not widely known or often thought of only in qualitative compliance context. To help correct misconceptions and encourage new students to join the field FIRM offers scholarships and awards to students who choose Risk Management at Frankfurt School. I was awarded a FIRM scholarship, which I was glad to accept. The support encouraged me, particularly as an international student, to focus on my studies and ultimately helped me to win the first place merit based FIRM award at graduation.